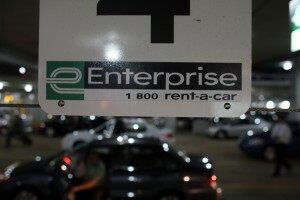 Enterprise Holdings on Wednesday challenged CCC’s plan to charge vendors for access to collision repair information formatted under the BMS data standard while subsequently ending transmissions of EMS files. 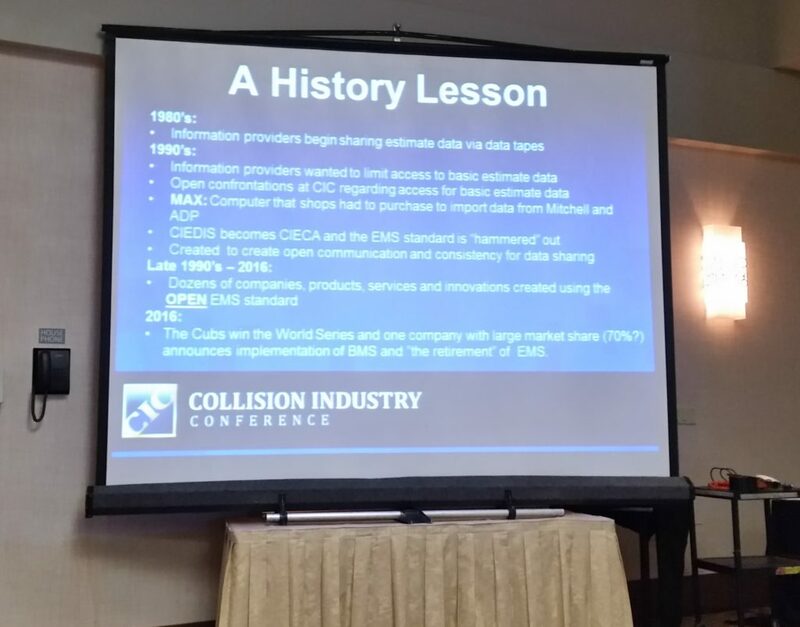 The criticism of the dominant estimating service by another industry powerhouse came just days after prominent industry figure Frank Terlep, a former chairman of the association behind both data standards, attacked CCC’s plan at the Collision Industry Conference. CCC announced in September it would in April support the Business Message Suite collision repair data protocol and “sunset” the archaic Estimate Management Standard data standard a year later. The two standards allow collision repairers using one of the estimating systems to transmit data to other business partners’ software. EMS is old, unsupported, and transmits unencrypted all the information associated with the repair. That raises huge shop and customer privacy issues, particularly when vendors install data pumps that can snag any EMS file. BMS is modern (XML versus typically dBase IV), more easily encryptable and only transmits the data the vendor’s industry segment would need to see, which also makes it more efficient from a computer infrastructure standpoint. CCC plans with its new Secure Share service to start transmitting 128-bit encrypted BMS messages in parallel to EMS ones in April. Under the program, shops using a kind of “app store” can designate the vendors they wish to receive segment-specific BMS data, and add other filters as well. In April 2018, CCC EMS exports cease, and CCC shops will use Secure Share to send all estimate-related data under the BMS format. Vendors who wish to receive that information will have to pay a per-workfile fee of $0.50 starting in April 2018, and for those who register after this year, potentially a one-time API fee of $2,500. Despite the security and efficiency gains with switching data standards, CCC’s means of doing so has raised control, cost and competition questions, some of which were echoed by Enterprise and Terlep. Though somewhat loaded in its wording, a poll of the Collision Industry Conference gathering also demonstrated heavy skepticism of CIC taking such a prominent role and would like to see a CIC task force examine Secure Share further. CCC market solutions Vice President Mark Fincher said Tuesday that the company understood there was concerns but sought to “create goodwill for the industry” and “do the right thing” to keep customers supporting its business. He asked the industry to consider its actions in the past when anticipating its future behavior. He also said CCC would be happy to meet with any task force with concerns. “I think we’ve been 100 percent transparent about what we’re doing,” Fincher said. Both Enterprise and eMarketing Sherpas will face a business decision following CCC’s conversion — particularly Enterprise. CCC’s $0.50/repair order charge will either have to be eaten by them and other vendors or passed on to customers. For Enterprise, which is involved in a great deal of collision repair claims through its rental cars or other shop- and insurer-facing products, the cost to the company and/or its collective customer base could be particularly high. “There is growing concern that some data providers are beginning to focus on ways to monetize or restrict access to critical data and even actually charge a fee for access to it,” Hawkins said in a statement. 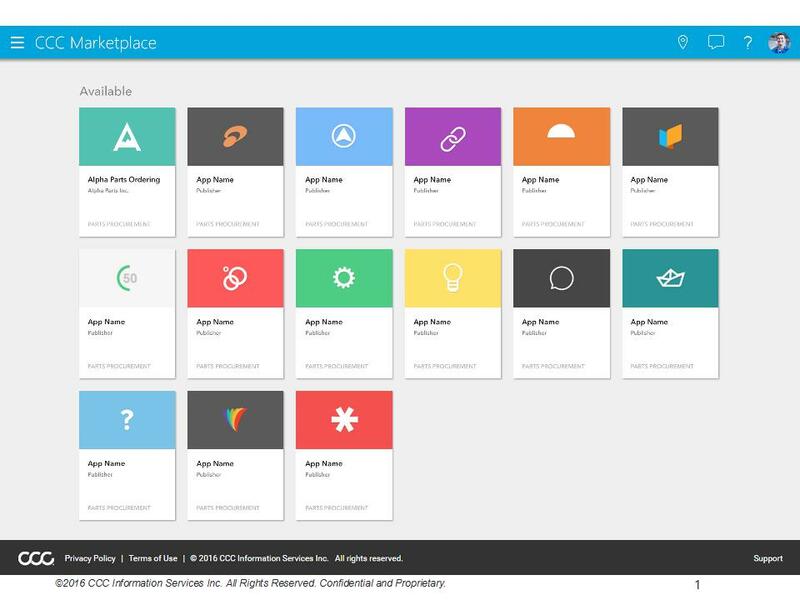 Enterprise also promoted what seemed to be another method of sending BMS messages to vendors and others: its ARMS Business Solutions platform. A shop could certainly choose to enter data manually into ABS, Fincher said. “That’s an open option for the shops,” he said. The ABS platform was created by Enterprise’s merger of its Automated Rental Management System, Performance Gateway and CynCast businesses. ABS allows users to convert EMS files into BMS messages for dissemination, Enterprise said. “ABS is a comprehensive platform that leverages Enterprise’s long-term experience with partner integrations and allows insurance companies, collision repair centers, suppliers and vehicle owners to access relevant data, regardless of technological preferences,” Enterprise wrote Wednesday. “This, in turn, enables industry partners to effectively and efficiently manage networks, workflow, communication and performance across a complex multifaceted claims process. Furthermore, the ABS system helps protect insurance companies, collision repair centers and fleet owners by converting their information from EMS (Estimate Management Standard) to a more secure protocol, BMS (Business Message Suite). Fincher said his big takeaway from Enterprise’s press release was the existence of another open exchange with BMS messaging. Asked about the cost of ARMS Business Solutions and if non-ABS customers could still receive BMS files through it, an Enterprise spokeswoman said staffers with such answers wouldn’t be available to talk until possibly early next week. Terlep’s presentation raised concerns about cost and control that we’d already discussed with CCC in past articles, most recently in a report last week. Check it and our other coverage out for more point and counterpoint on those. Creating a central clearinghouse for BMS data was a step backward for an industry which had fought to have easily shareable information provider data, in part resulting in the creation of the EMS standard, said Terlep, a former Collision Industry Electronic Commerce Association chairman and member of CIECA’s predecessor. CIECA’s BMS standard was superior to its EMS protocol, but CCC’s method of providing the industry with that format was perilous, he said. “Be careful what you wish for!” Terlep said. “What logical businessperson would build a business” around such an agreement? Terlep wondered. However, as this gives CCC the legal right to cut off the most convenient way for a competitor to interface with CCC’s huge user base, it’s also understandable that rivals would be wary. “We have no intention of ceasing to work with any of the app providers,” Fincher said. “It’s not how we do business.” He pointed to CCC’s work with MyPriceLink and PartsTrader in the past. “Our success is completely tied to our ability to deliver value to our customers,” Fincher said. Arbitrarily ceasing to feature a competitor’s service would irritate CCC’s own clients, he said. “If we know it’s going to be disruptive to their workflow … it’s not going to be in our best interest to do that,” he said. CCC waived that amount for anyone who registered before Jan. 1, and Fincher announced Thursday that the company would continue to waive it through the end of the year. “We have decided to extend that,” he said. Following Dec. 31, 2017, the company will decide its next step. Fincher said independent appraisers weren’t as much of a priority as they tended to use EMS internally, as opposed to collision repairers, who sent EMS files all over the place and raised the kind of privacy and security concerns discussed above.